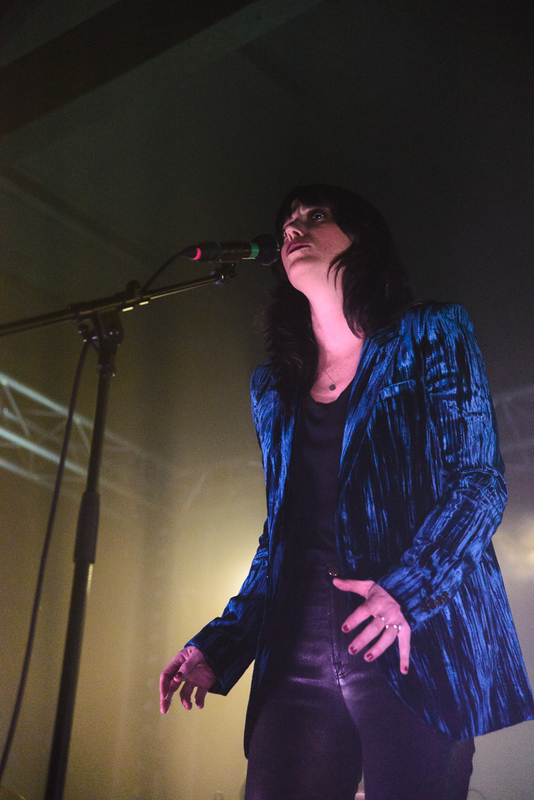 It's been over four years since Sharon Van Etten last played a show in the UK. During the Are We There Tour rumours swirled that it would be her last as she pursued other areas of interest. These arrived in the form of acting roles in Netflix drama The OA and Twin Peaks along with motherly responsibilities following the birth of her first child in 2017. The thought of future SVE recordings seemed to be a pipe dream until tracks from Remind Me Tomorrow started to drop at the end of 2018. At her Manchester show in 2014 she introduced one track by stating that musically, “this could be any song”. Well, if this was a personal concern, her latest album's distinctly electronic architecture conclusively addresses this. 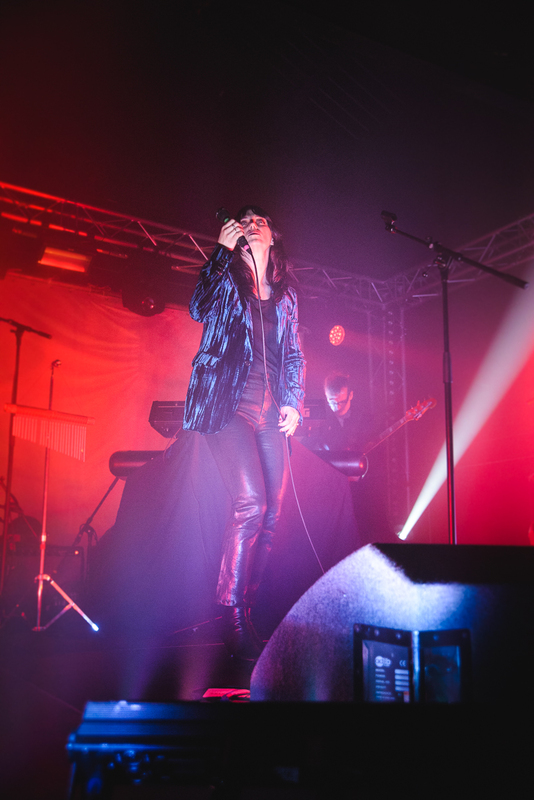 As if to emphasise this point, she opens this evening with the ominous 'Jupiter 4' which is full of pulsing synths and clattering percussion that reverberate nightmarishly around Birmingham's newest music venue. 'Comeback Kid' rapidly follows this atmospheric curtain-raiser. SVE's friend and muse Heather Woods Broderick once again provides the keys on this tour, but her contribution is notably enhanced this time around. 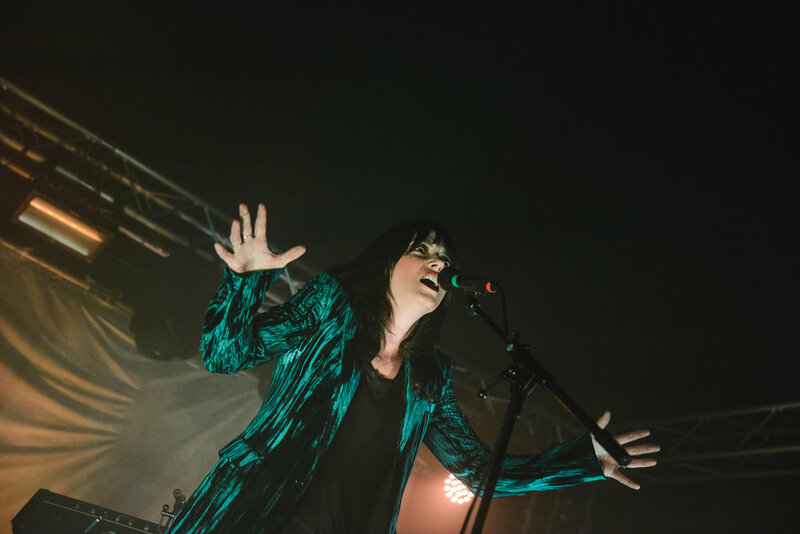 Sonorous and baroque tones sweep over a full house in this renovated Victorian warehouse and they're matched by Sharon Van Etten's declamatory vocals as she prowls the stage with purpose. Remind Me Tomorrow is clearly a defining moment in Van Etten's life and every track will ultimately be performed this evening, but if the album was initially a challenge to compartmentalise alongside previous releases, then perhaps 'No One's Easy to Love' and 'Memorial Song' proved to be the most discombobulating. Live, up-close and personal however and the distinction of these songs and indeed the entire album is demonstrated in a stunningly potent manner, so much so that when the gentler 'One Day' and 'Tarifa' are added to the mix, the more orthodox rhythms and melodies almost feel out of place if they weren't so damn perfect in the first place! 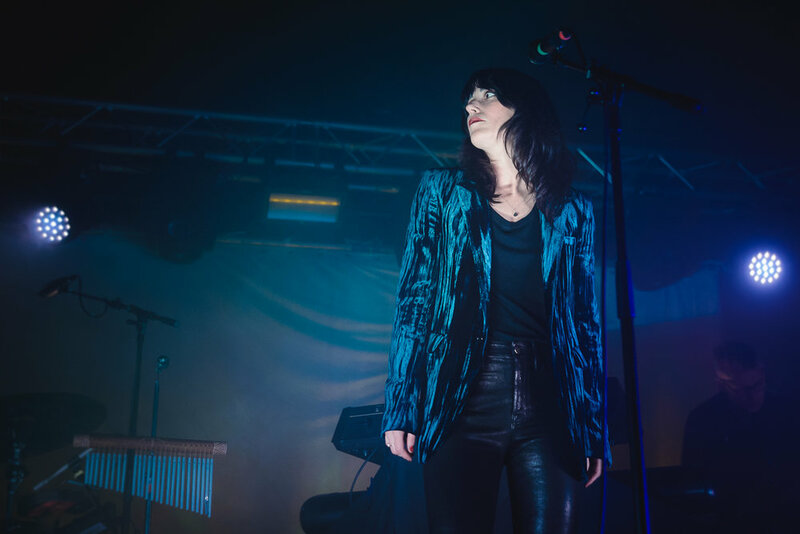 The band disappear briefly to allow Sharon Van Etten some personal space behind the keys on 'Malibu'. On the album it's a discordant road-trip of a love song, with tender themes at odds with the jarring soundscape that accompany them; this evening's leaner presentation allows the song's inherent emotion to be appreciated more fully before 'Hands' threatening timbre returns us to more familiar ground. 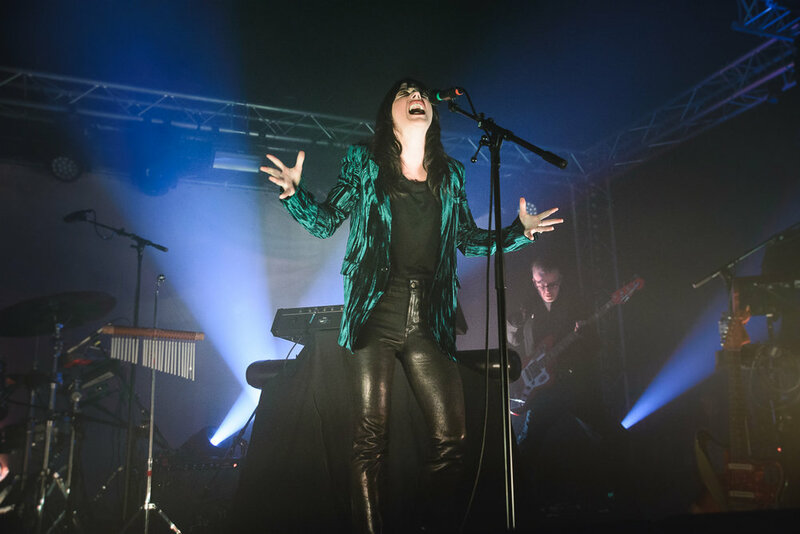 The new record's centrepiece is 'Seventeen' and it has been the song of choice during Sharon Van Etten's many late night chat show performances in the US, and it's nostalgic influence is stunning in these intimate surroundings. Wrapping an emotional honesty around a driving Springsteen-esque melody is only the part of it; the soaring synths, charged guitar and impassioned vocals are redolent of a cinematic Breakfast Club moment, taking us all back to an anthology of moments from our youth that, good or bad, have defined who we are today. 2019 won't hear another song as good as this! 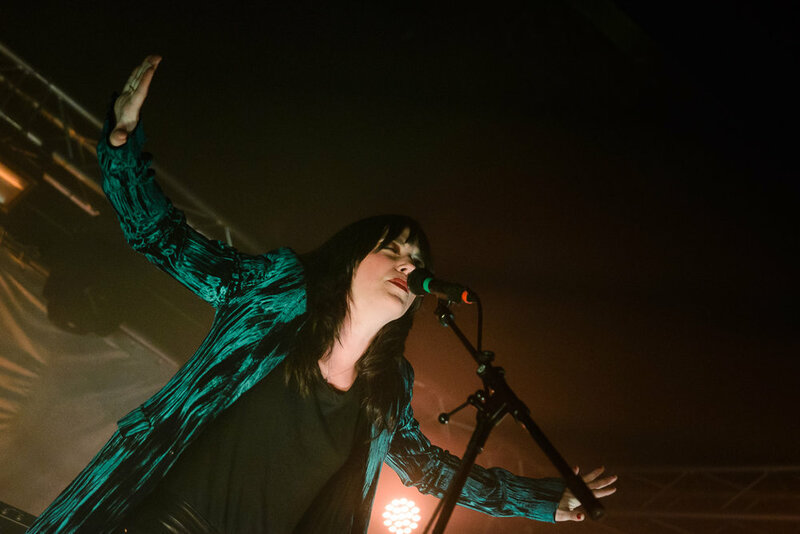 Up to this point, SVE's return to the UK stage has been faultless, but it is the opening night after all and 'Every Time the Sun Comes Up' creaks in charming style as the notes elude her. She admits that more practice is needed before returning to the comfort of the new record when 'I Told You Everything' is performed in the encore, before the pummelling fury of 'Serpents' and introspective 'Love More' close out an evening that allow us all to reacquaint ourselves with this magnificent performer and her new and thrilling direction.